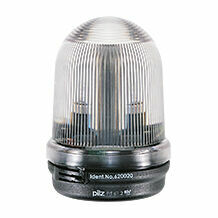 Selection of the correct control and signal devices is a key factor for the safety of man and machine. 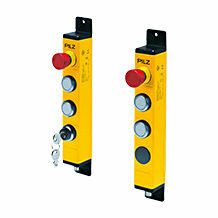 Pilz control and signal devices are therefore of use in all places that could pose dangerous situations for your staff. 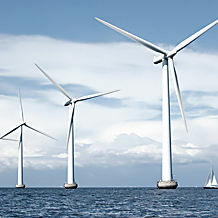 They may be used during the commissioning of your system and during regular operation, maintenance or service. We provide you with an E-STOP button, muting lamps, hand-operated control devices, enabling switch and operating mode selector switch. Our products allow for short reaction times and are therefore a safe component for your application! 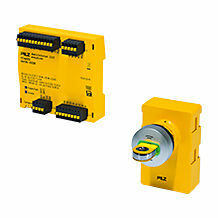 Pilz control and signal devices are of use anywhere that could pose a dangerous situation for your staff. 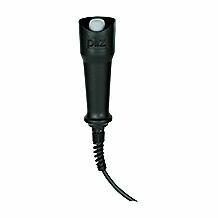 They may be used during the commissioning of your system and during regular operation, maintenance or service. 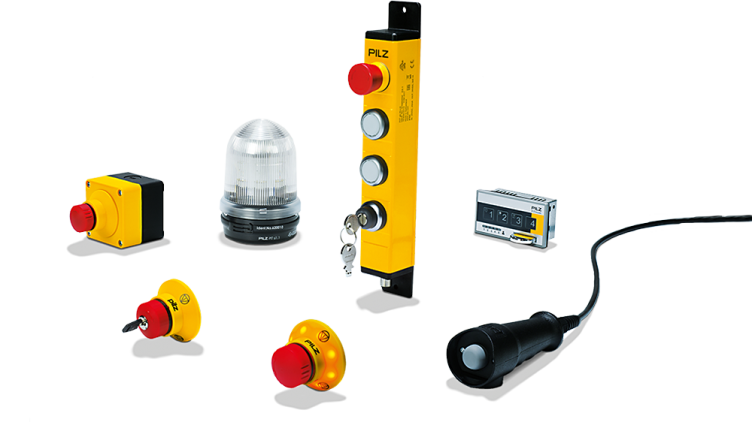 Our E-STOP pushbutton is available in different versions - there is a safe solution for man and machine for any plant environment. They are suitable for panel and surface mounting. The PITjog is used to protect personnel when processes within the danger zone are being monitored while the safety gate is open. Both hands are required for operation. 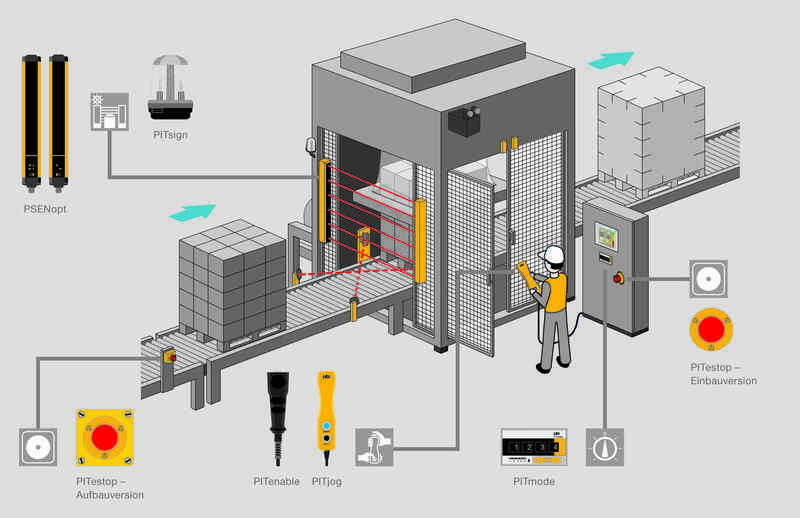 PITmode combines safety and security functions in one system. The devices enable functionally safe operating mode selection and the regulation of access permissions. 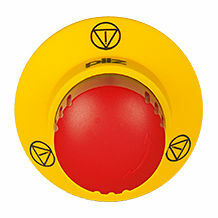 PIT enable is a manually activated control device that is used when working in a plant or machine's danger zone. It can be operated with one hand due to the 3-level switch. The muting lamps PITsign indicate that an electrosensitive protective device is suspended. They are suitable for all muting applications in accordance with IEC 61496-1.